Electronic Financial Technologies, Distancing, and Responsibility in Global Finance. Abstract. While we have become increasingly vulnerable to the ebb and flow of global finance, most of us know very little about it. This book focuses on the role of technology in global finance and reflects on the ethical and societal meaning and impact of financial information and communication technologies (ICTs). Exploring the history, metaphysics, and geography of money, algorithms, and electronic currencies, the author argues that financial ICTs contribute to impersonal, disengaged, placeless, and objectifying relations, and that in the context of globalization these ‘distancing’ effects render it increasingly difficult to exercise and ascribe responsibility. Caught in the currents of capital, it seems that both experts and lay people have lost control and lack sufficient knowledge of what they are doing. There is too much epistemic, social, and moral distance. At the same time, the book also shows that these electronically mediated developments do not render global finance merely ‘virtual’, for its technological practices remain material and place-bound, and the ethical and social vulnerabilities they create are no less real. Moreover, understood in terms of technological practices, global finance remains human through and through, and there is no technological determinism. 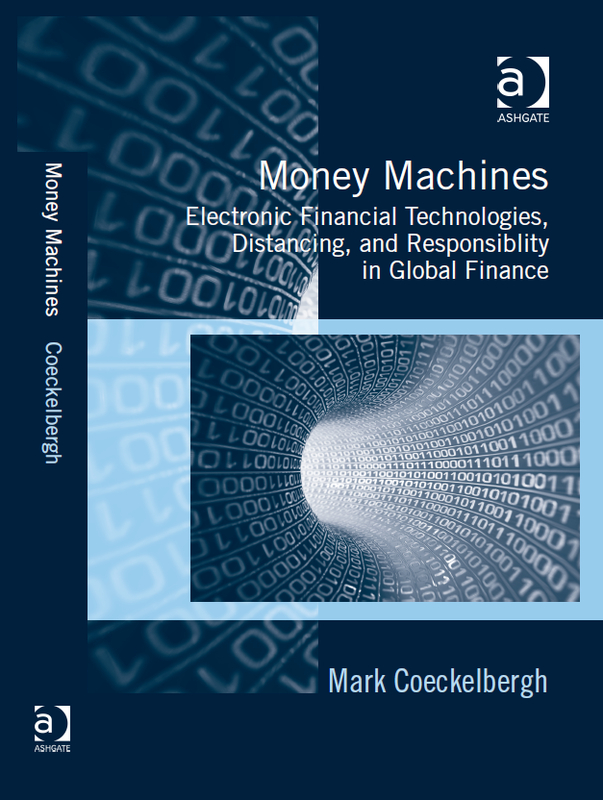 Therefore, Money Machines also examines the ways in which contemporary techno-financial developments can be resisted or re-oriented in a morally and socially responsible direction – not without, but with technology. As such, it will appeal to philosophers and scholars across the humanities and the social sciences with interests in science and technology, finance, ethics and questions of responsibility.